Vincent Rotello is the Charles A. Goessmann Professor of Chemistry and a University Distinguished Professor at the University of Massachusetts at Amherst. He received his B.S. in Chemistry in 1985 from Illinois Institute of Technology, and his Ph. D. in 1990 in Chemistry from Yale University. He was an NSF postdoctoral fellow at Massachusetts Institute of Technology from 1990-1993, and joined the faculty at the University of Massachusetts in 1993. He has been the recipient of the NSF CAREER and Cottrell Scholar awards, as well as the Camille Dreyfus Teacher-Scholar, the Sloan Fellowships. More recently, he has received the Langmuir Lectureship (2010), the Transformational Research and Excellence in Education Award presented by Research Corporation (2016) and the Bioorganic Lectureship of the Royal Society of Chemistry (UK) (2016). He is a Fellow of both the American Association for the Advancement of Science (AAAS) and of the Royal Society of Chemistry (U.K.). He is also recognized in 2014 and 2015 by Thomson Reuters as one of the “Most Influential Scientific Minds”. He is currently the Editor in Chief of Bioconjugate Chemistry, and is on the Editorial Board of 14 other journals. His research program focuses on using synthetic organic chemistry to engineer the interface between the synthetic and biological worlds, and spans the areas of devices, polymers, and nanotechnology/bionanotechnology, with over 475 peer-reviewed papers published to date. 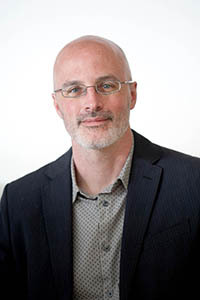 He is actively involved in the area of bionanotechnology, and his research includes programs in delivery, imaging, diagnostics and nanotoxicology.